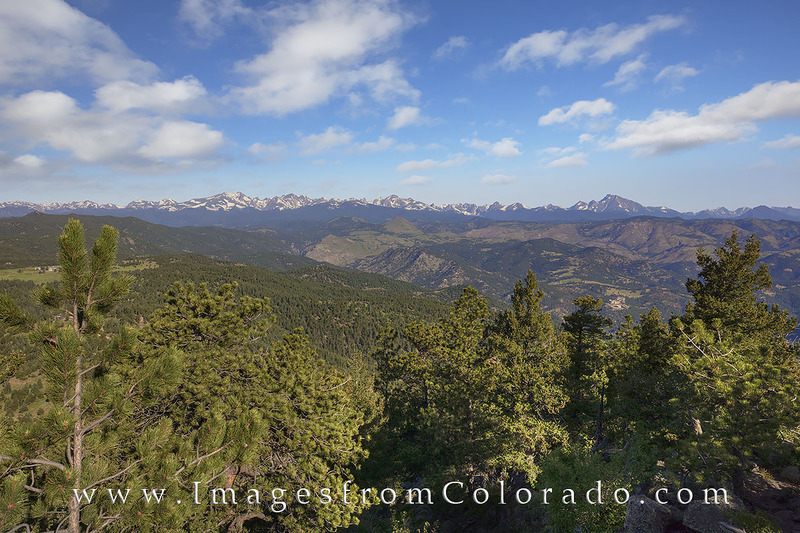 From the Flat Irons, this Colorado landscape looks across the valley towards Rocky Mountain National Park. On the right side of this image is Longs Peak, a 14er and the tallest point in the park. Photo © copyright by Rob Greebon.